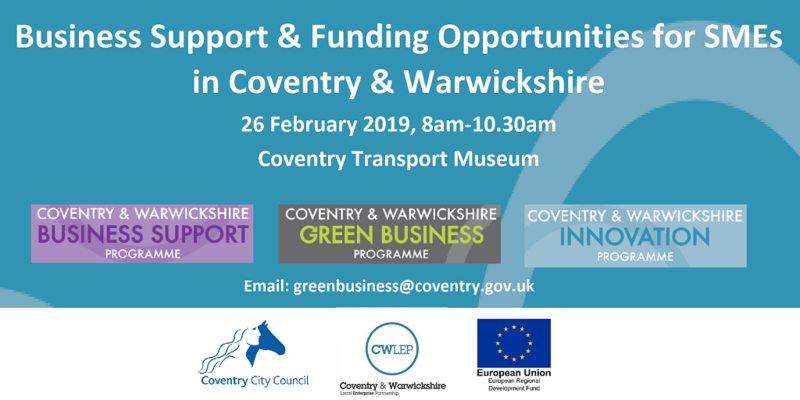 If you are a small to medium sized business (fewer than 250 employees) in Coventry and Warwickshire, then you may be interested in receiving business support, including grants from European Regional Development Fund (ERDF) Programmes to help grow and develop your business. Following the success of our three year programmes which ran from 2016 - 2018, we are very excited to be launching our new programmes; Business Support, Green Business and Innovation. The ongoing support will ensure that businesses in the local area continue to grow.